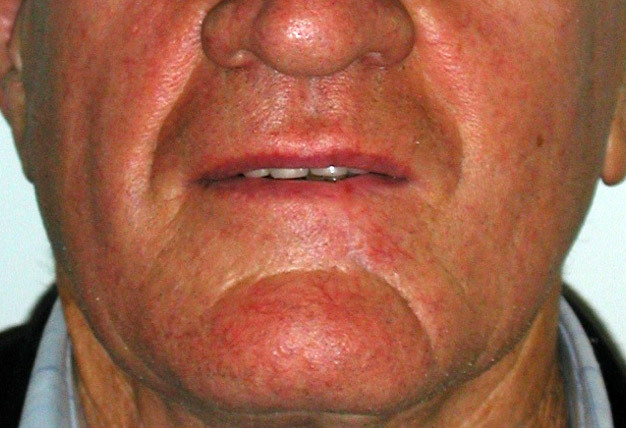 Several types of facial skin lesions must be addressed surgically. 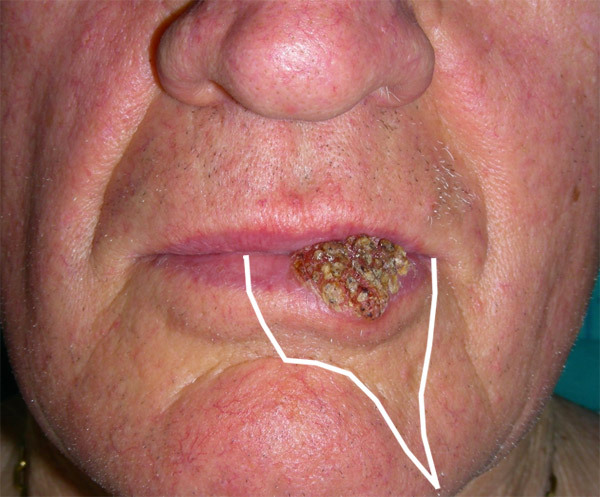 Histological examination of the excised lesion is always necessary to reach a definite diagnosis and/or to confirm complete removal of the lesion. For those cases where the histological diagnosis differs from that made by the surgeon or dermatologist before treatment, a new, appropriate treatment plan is required. 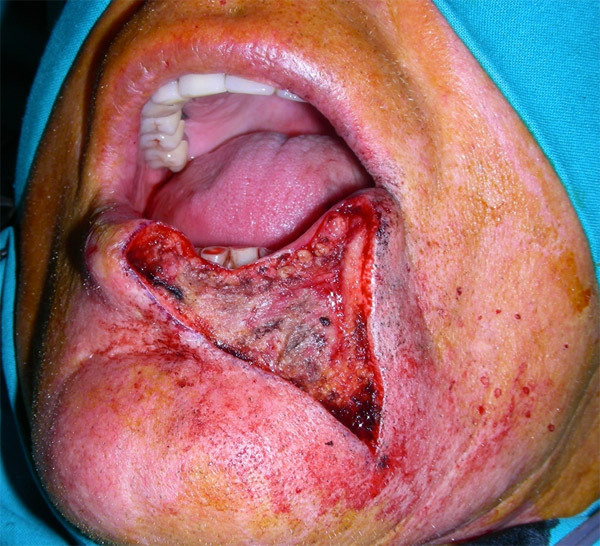 Aesthetic integrity is a major concern in facial skin surgery. This is ensured by using the best surgical techniques, based on incisions made along natural skin creases and wrinkles. 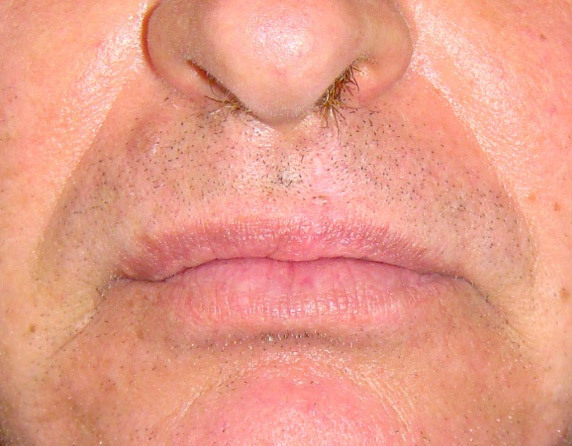 For example, a 2-cm incision along the lower eyelid horizontal wrinkle is typically not detectable. However, a shorter incision placed vertically immediately draws attention, suggesting the outcome of trauma. There are situations where it is appropriate to carry out reconstructions with more advanced techniques. 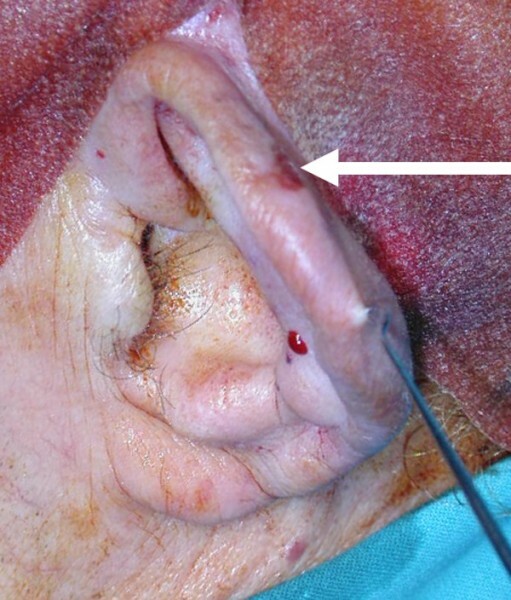 In those cases, it may be necessary to graft thin skin portions harvested from hidden sites (for example, behind the ear) rather than rotating and transposing skin flaps adjacent to the area to be reconstructed. 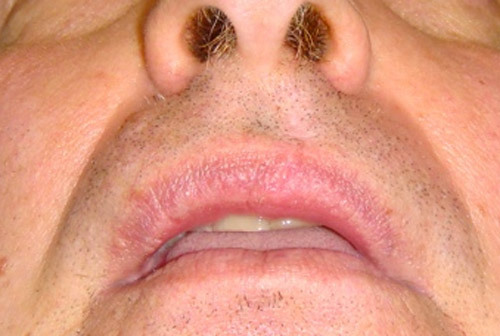 The majority of these interventions are performed under local anaesthesia. 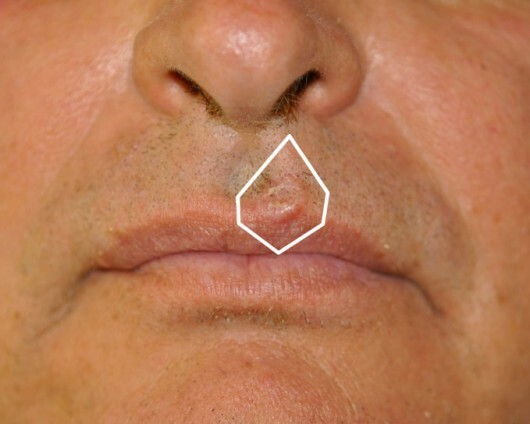 Basal cell carcinoma of the upper lip. 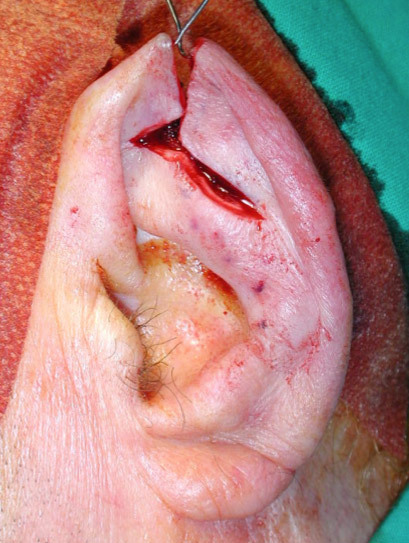 Its complete removal required the sacrifice of a portion of healthy tissue surrounding the lesion. 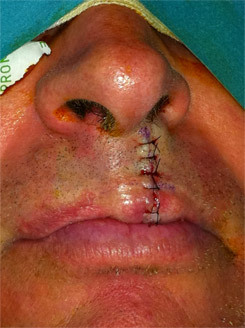 Lip appearance at the end of surgical removal of the lesion. Appearance of the lip at the end of surgery. Carcinoma of the lower lip. 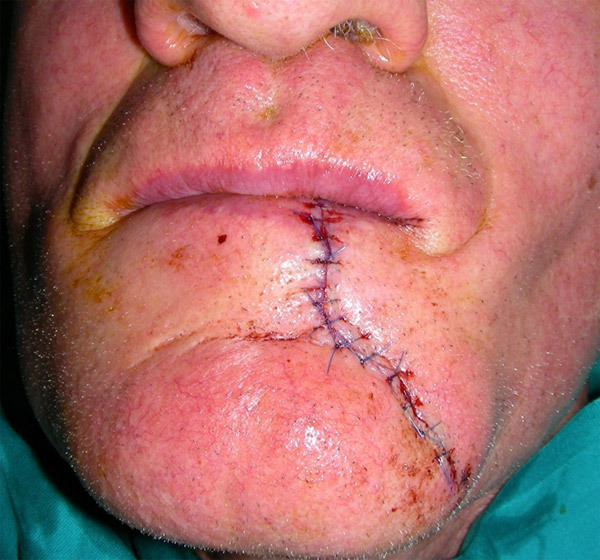 Drawing of the incision lines before surgery was undertaken to obtain a subsequent scar that would look as natural as possible. 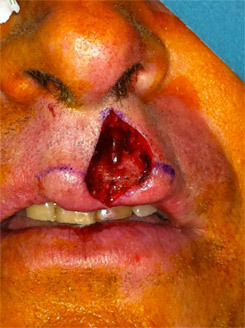 A wide portion of the lower lip was removed in the radical excision of the lesion. 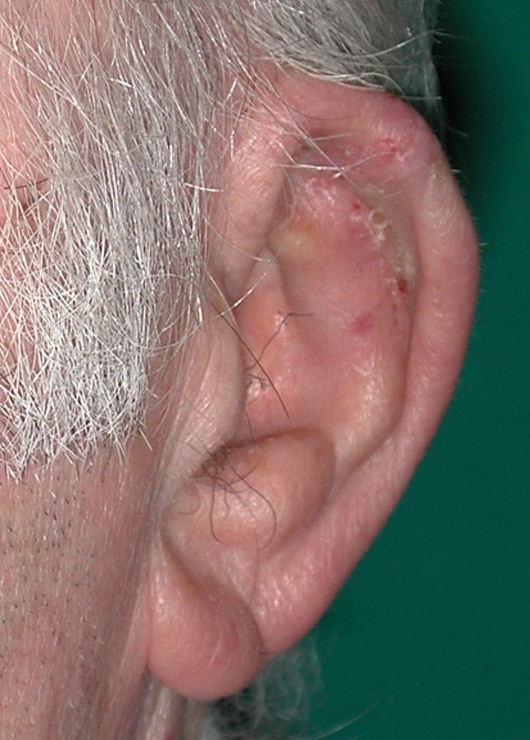 Squamous cell carcinoma of the ear (arrow). Ear appearance after wide removal of the lesion. 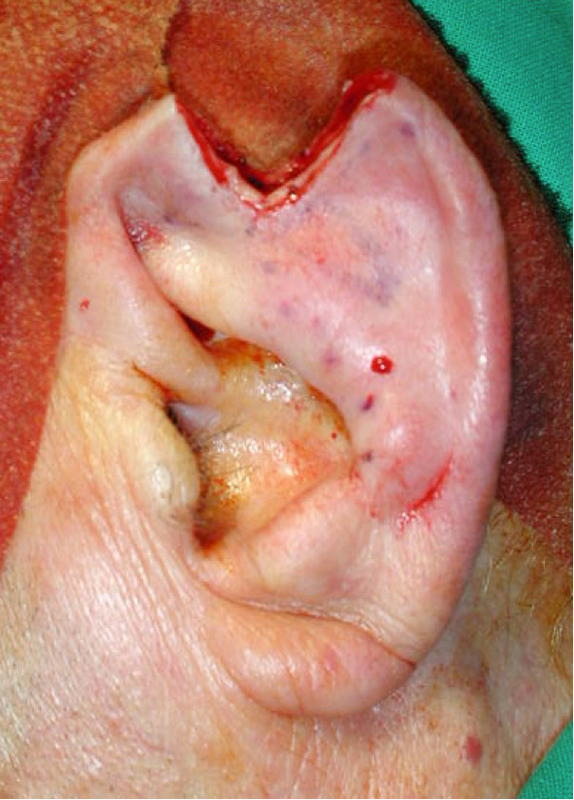 Specific incisions were devised to provide adequate reconstruction of the pinna. The reconstructed ear 1 month after surgery.